It's easy to make the case that the Outer Cape is an ideal place for retirees to call home. We have low taxes, an outdoor-friendly environment, milder weather (summer & winter), good restaurants, lots of golf courses, and a laid-back lifestyle. So, it should be no surprise that the 2010 census backs it up with real facts (we love it when the facts support the truth!). According to the census, Eastham & Orleans rank #2 and #3 as having the highest percentage of folks in Massachusetts receiving retirement pay, with the numbers being 37.8% and 34.1%, respectively. The #1 locale, with 38.3%, is Rowe, in western Massachusetts. Read the article on the Boston.com website. The photo below was taken yesterday by a German tourist, and friend, Janek Bechtel, of the Highland Light in Truro. You can see that we didn't get very much snow this past storm. 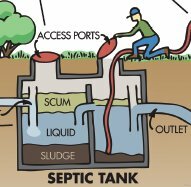 How do septic systems work? How do I ensure that my system will function correctly and not cause me potentially embarrassing difficulties? When should it be pumped? Etc. Well, the Wellfleet Comprehensive Wastewater Committee has put together a really nice glossy piece that answers these questions, and more. I picked up a copy while I was at the Wellfleet Building Inspector's office last week. I found it online, so go check it out....Here. 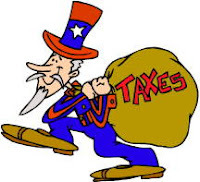 The continuation of the "Bush" tax breaks came with a bunch of new tax related items that need to be understood and addressed. I came upon an article from Fidelity that I found to be very informative and to the point. 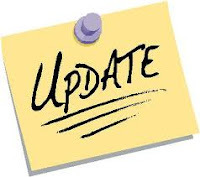 Of note, there are changes to estate taxes, reduction in Social Security withholding, and new rules for charitable giving from your IRA. Check out the article on Fidelity's "Guidance" website. 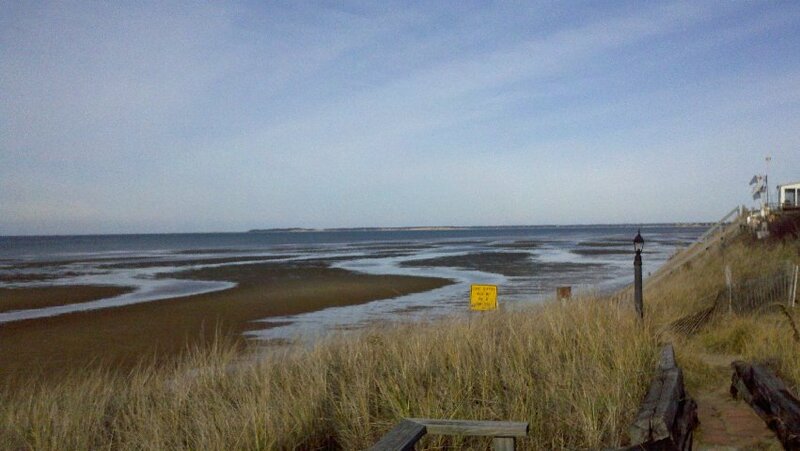 As the towns of Orleans and Eastham 'discuss' the ownership and management of the northernmost tip of Nauset Beach, which, many believe, belongs to Eastham, the dialog gets significantly more interesting. Who should control access to that portion of the beach? Who polices the use? Which town needs to protect the piping plovers? 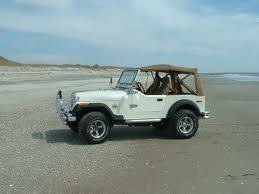 Can Eastham residents get lower priced stickers to drive on the new beach? Will cars be banned altogether? I like the quote from the Orleans selectman who suggests that Eastham "should be careful what they ask for". Local politics can be very interesting. Read the story in the Cape Cod Times online edition. 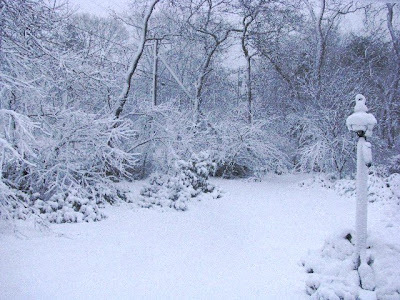 With the arrival of our first winter snow (winter technically arrived yesterday), comes the reminder that our Cape vacation homes need to be winterized. Winterization can be intense, or not so intense, depending on how much you plan to use the home over the winter months. 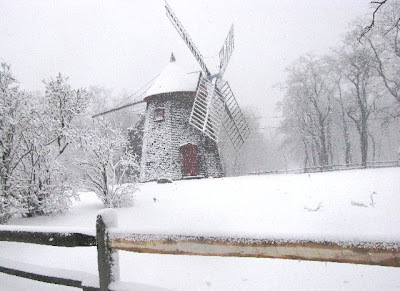 For maximum energy savings, and minimum winter use, the house should be completely shut down. This will include draining the pipes, and turning off the electric. Before my Eastham home was my primary residence, we kept it at 50 degrees during the winter months, allowing us to come out frequently for weekends. By far the most important thing you can do to prevent serious damage to your vacation home is to shut off the water at the pump before you leave for an extended period of time. This can be done by shutting off the electric wall switch for the pump and/or turning the master water valve off. Check out this article at wikihow.com (no, it's not wikileaks!) on how to winterize your home. We woke up this morning to about an inch of fresh snow, and the snow continued through the entire daylight portion of the day. At dusk we had about 6 inches on the ground. Undeterred, we drove to Hyannis for lunch and a bit of Christmas shopping. The photo below, of the Eastham Windmill, was taken on our way back. The Freedom Tower, now called One World Trade Center, is at 52 floors, the half way point in its construction. Check out this photo out my son's dining room window, taken yesterday. Last night we went out to dinner with friends. Bev called it her 'employer's Christmas party'. Although we've had a few drinks in the Tavern, we've never eaten at the Chatham Bars Inn dining room. The Inn's decorations were wonderful. In the Sitting Room there was a large set of electric trains, encircling a few ginger bread houses. 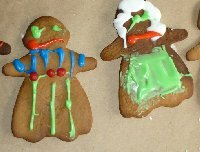 But these were not your standard ginger bread structures. 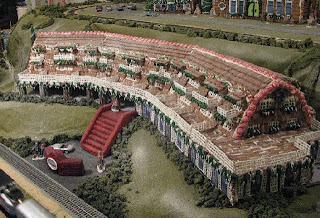 They included the Chatham Lighthouse and the Chatham Bars Inn, itself. Check it out... below. My January 2011 Real Estate Newsletter - Available Now! My January 2011 Eastham real estate newsletter is available now! This issue has the Eastham real estate results through November 2010, a new Bayfront listing, and info on Eastham's rental home tax situation. Eastham's sales remain significantly ahead of last year. Prices show a moderate improvement in the median sales prices. Go to http://newsletters.robertsheldon.com/ to download your copy. Next year the Cape Cod National Seashore reaches its 50th anniversary, having been created in 1961 by President John Kennedy. A lot has changed on Cape Cod in those 50 years. And, thankfully, a lot has stayed the same, mostly due to the National Park. This next year will be full of special events commemorating the 50th anniversary. We'll need to remember to check the Seashore's website often to not miss any of these events. The figure here is the new logo for the 50th anniversary, showing the Highland Light, in Truro, against a map of the Outer Cape. Check out this story and video about the Cleveland lighthouse getting buried in ice due to a winter storm on Lake Erie. The story is ... here. A stranded animal is any dead marine mammal on shore, or any live dolphin or whale cast ashore or unable to return to its natural habitat, or any live seal which cannot leave shore due to injury or poor health. On Cape Cod, we have frequent single and mass strandings. A single stranding occurs when one animal comes ashore by itself and is in need of medical attention. A mass stranding is where two or more dolphins or whales strand at the same time in close proximity to one another. Mass strandings can involve over 100 individual animals. Cape Cod, due to its unique shape, has a unusually high number of these strandings, with over 500 reported each year. The Cape Cod Stranding Network (CCSN) is dedicated to responding to these strandings. They attempt to release healthy animals back to the water, provide medical attention for sick & injured animals, work to prevent mass strandings, facilitate animal rehabilitation where appropriate, and humanely euthanize animals unlikely to survive. Note : the CCSN has merged with the International Fund for Animal Welfare (IFAW). They have a continuous need for volunteers and donations. Go to http://blog.ifaw.org/category/strandings/ for more information. The Annual Lighting of the Pilgrim Monument, which celebrates the Pilgrims’ First Landing in America at Provincetown on November 11, 1620, is one of Cape Cod's most beautiful traditions and one that is supported by Pilgrim Monument members and friends. 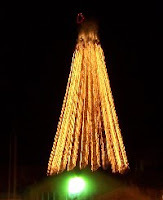 The official Lighting Ceremony took place on November 24th and the lighting will continue through New Year’s Day. If you get to Provincetown and stay until after dark, you'll surely notice the tower - it's really cool! 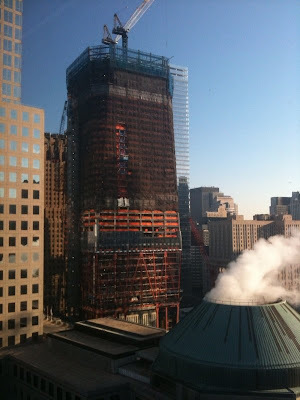 Check out the photo, taken today by one of my clients. Thank you Stephanie! If you'd like to donate to the tower's lighting, go to the Pilgrim Monument's web page....Here. New Listing - Brewster. This large contemporary Cape style home can be yours to complete and enjoy. Foreclosure prevented completion, with plenty left to do. This 3300 sqft home is for sale at less than half it's assessed value and less than the assessed value of the pondfront land. This house is being sold As-Is. Listed at $299,000. Wow! Go to http://foreclosures.robertsheldon.com/ for more details. Or, call me at 508-237-9545 to schedule a showing. This past weekend Bev & I were in Chatham (NJ) baking cookies with some of my grandchildren (and 5 other adults) spread across 2 families. The 4 grandchildren ranged from 5 years old to 9 (going on 15) years old. We made roughly 36 dozen cookies of various shapes and sizes. 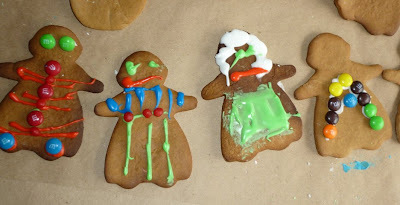 Alexa, aged 6 1/2, decorated these gingerbread men. Yummy! New Listing - Eastham Bayfront Cottage - Spectacular! Eastham - Waterfront like you dreamed about! This Summer of '42 cottage is literally the last home on Campground Beach Rd, immediately adjacent to the public stairs to the beach. Fabulous Bay views from the large Bayfront deck, where you'll enjoy your daytime 'sunning', your evening meals, and your perfect sunsets (weather permitting!). Newer windows, septic, and water conditioning system. Fully furnished and ready to enjoy. A great rental. Listed at $949,000. One of my land-only clients from earlier this year is building a very interesting, very energy efficient home off Lieutenant Island Rd. The new home will have a unique barrel shaped roof, not unlike one you might see on many modern church structures. 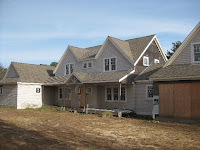 Additionally, this home will be certified as an Energy Star home when its done. Cool! 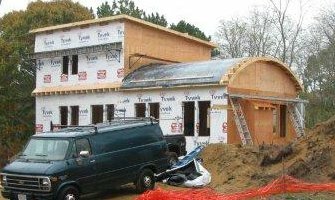 Check out this story in the Cape Codder: Energy Star house, under construction, sports a barrel roof. There were 6 closings in November (the same as October) with an average sale price of $539,250 and a median of $457,750. This year, November's closings totaled $3.2M. Last year's total November sales were $3.1M on 6 sales. There were 98 closings year-to-date (11/30/10), up 38% from 2009's 71 sales (note: single family homes). Currently, there are 88 homes for sale in Eastham, with an average list price of 615K, and a median price of $477K.